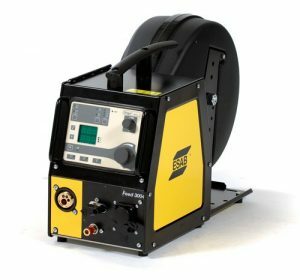 What Equipment is Needed To MIG Weld? MIG welding requires the right equipment unless you have a single purpose MIG welding machine. This page is an overview of the equipment needed if you are using a power supply and need or want the bells and whistles. 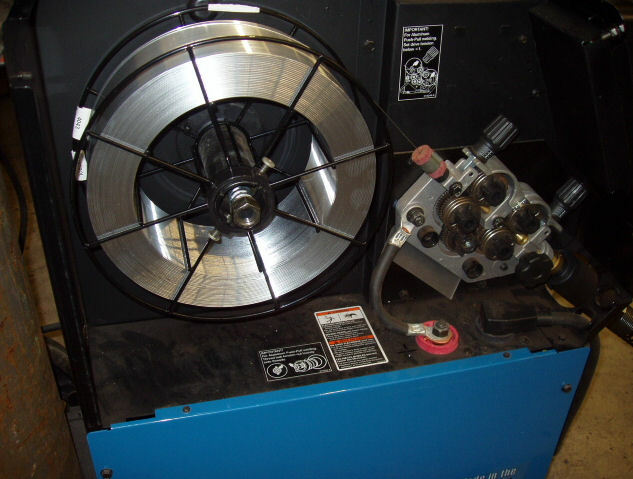 Add on wire feeders are simply a wire feeder that is put on top or on the side of a power supply. These are most commonly found on factory floors and production shops that require high duty cycles and lots of voltage to run welds on heavy plate. 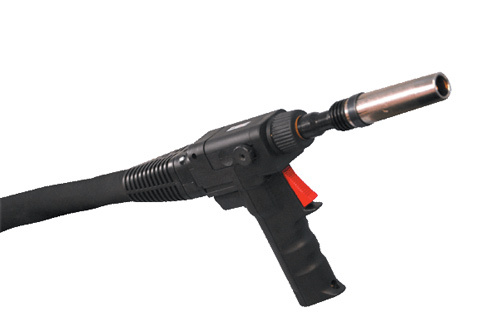 This is not for your everyday welding and is more of a specialty item more than anything else. 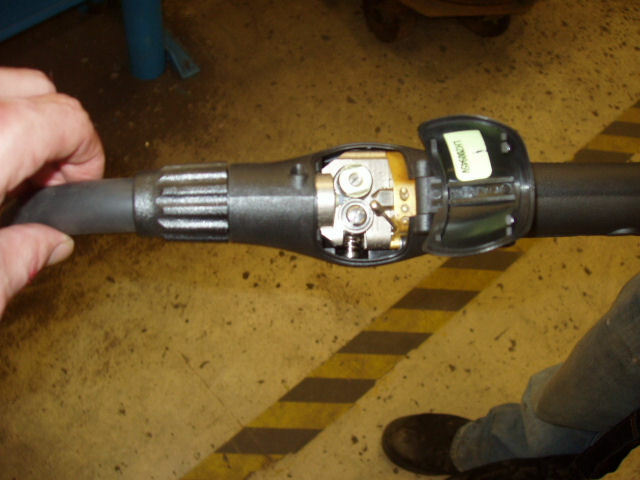 Add on wire feed systems are used for high production welding and have the fastest of the wire feed speeds. Suitcase wire feed systems are used for most multi process welders. You simply plug them into the power supply, hook up the gas and put in the MIG wire. They are great and I have had some real good personal experiences with these. 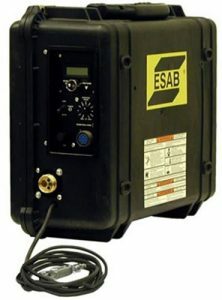 They come in the form of a suitcase with three cords hanging out of the back (power cord, remote wire, shielding gas hose) and a MIG gun attached to the front. They are waterproof and run flawlessly in some crazy conditions. 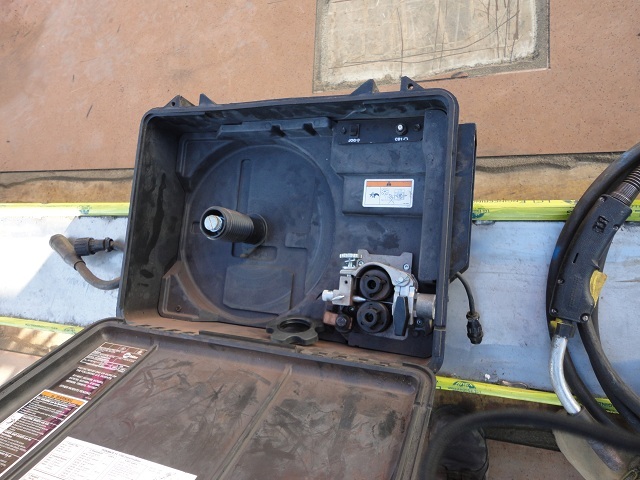 I liked the enclosed case that keeps dust and debris out of the wire. Another good point about these wire feeders is that the cable is short so running wire like stainless steel is not an issue. These suitcase wire feeders are used in most shipyards and to be honest they work better than all of the other feeders I have ever used! 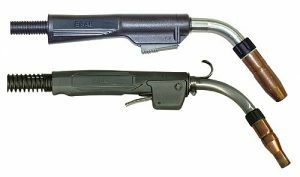 These are just the basics types of MIG welding equipment and there are many other types of welder accessories out there. 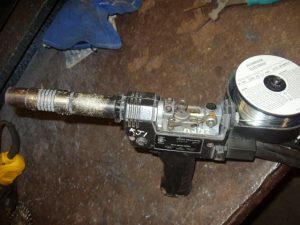 The standard MIG gun is nothing more than a cable with a gas feed system that has a remote wire that is connected to the trigger. It is a basic piece of equipment that works well in most cases except for soft filler metals like aluminum. Spool feed MIG guns are the most trouble free of the MIG guns available! 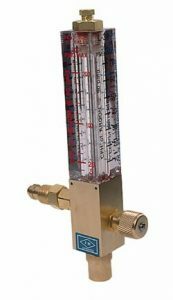 They are not the cheapest or most efficient to use. 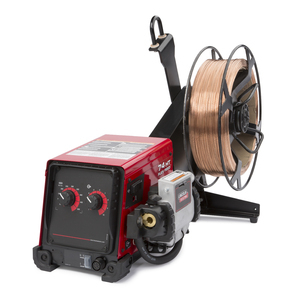 These are the choice of aluminum MIG welders because of the short distance the wire needs to travel to the joint from the spool. 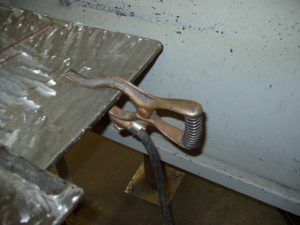 Since aluminum is so soft the wire would jam and break in a regular MIG welder. The down side is the size of the wire that can fit into the gun. Not very big at a 4" inch max spool but it is as trouble free as it can get. 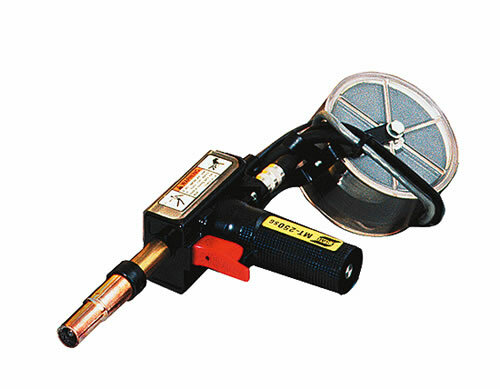 The push pull feed system is great for either stainless steel, aluminum welding or if you need a lot of liner/cord between you and the MIG welding machine. 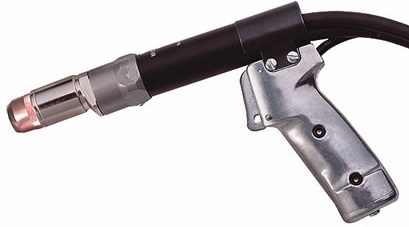 The push pull system is most commonly used in welding aluminum. 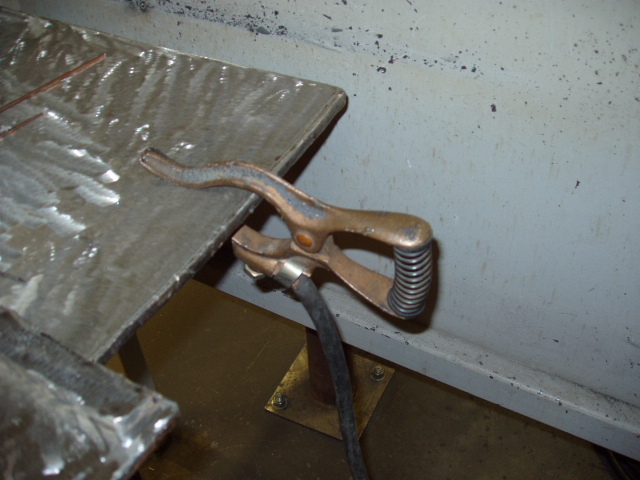 The push pull wire feed systems are used on factory floors and anywhere that lots of aluminum/stainless steel MIG welding is needed. 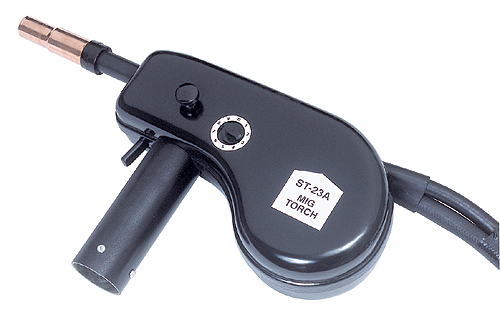 My first welding job in a factory was using a Cobra Push Pull Feed system welding aluminum. It works great as long as everything is set right. Setting everything right is another story! 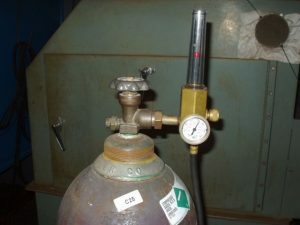 If you are MIG welding then you will need a gas regulator. These are easy to come by and all of them work just as good as the next one. 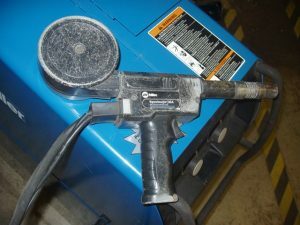 You will need a gas regular and a gas hose to connect to the MIG welder. Nothing special! 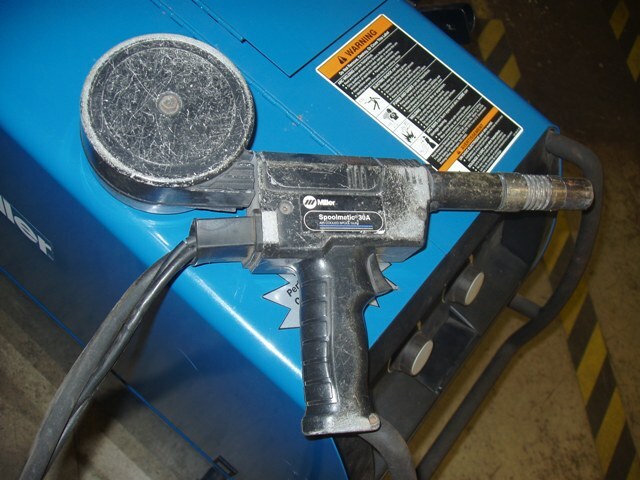 Finally a ground clamp is needed to attach the work to the power source. 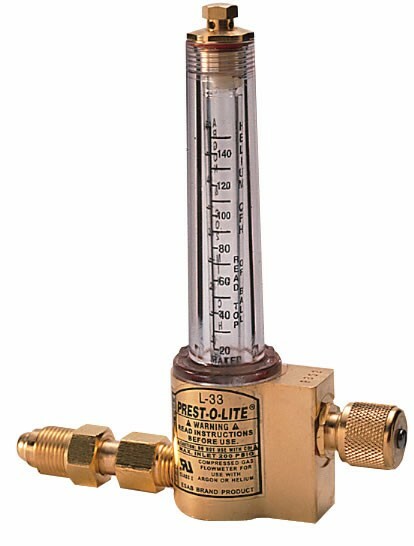 Don’t go crazy getting a thick gauge of wire because the ground only needs to carry the same voltage and amperage as the MIG gun. 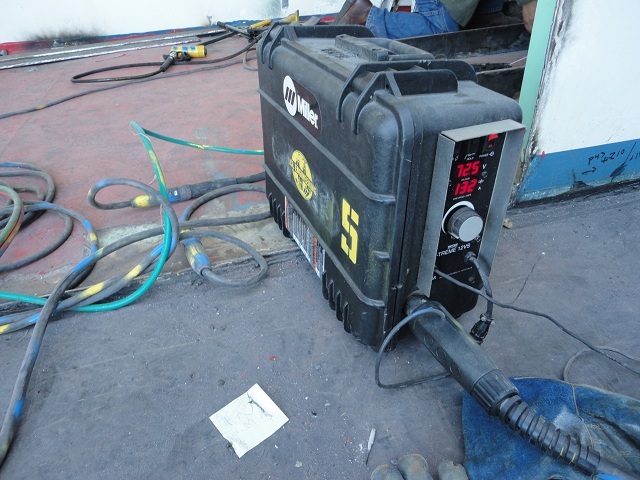 MIG Welding Electrodes, Wire and Filler Metals Selection Guide for Carbon Steel, Stainless and Aluminum – Gas Metal Arc Welding (GMAW) Electrodes Types Charts, Classifications and Designations.